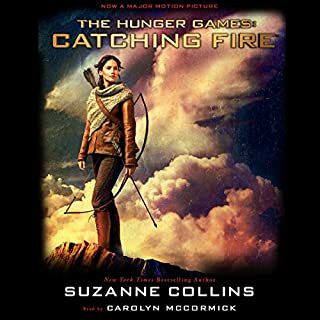 Katniss Everdeen continues to struggle to protect herself and her family from the Capitol in this second novel from the best-selling Hunger Games trilogy. 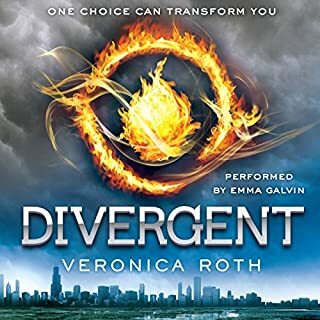 In Beatrice Prior's dystopian Chicago, society is divided into five factions, each dedicated to the cultivation of a particular virtue - Candor (the honest), Abnegation (the selfless), Dauntless (the brave), Amity (the peaceful), and Erudite (the intelligent). On an appointed day of every year, all sixteen-year-olds must select the faction to which they will devote the rest of their lives. For Beatrice, the decision is between staying with her family and being who she really is - she can't have both. So she makes a choice that surprises everyone, including herself. One choice can transform you - or it can destroy you. 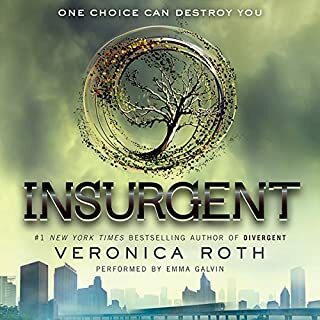 But every choice has consequences, and as unrest surges in the factions all around her, Tris Prior must continue trying to save those she loves - and herself - while grappling with haunting questions of grief and forgiveness, identity and loyalty, politics and love. 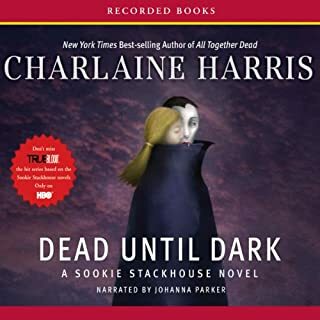 Vampires have officially "come out of the coffin", and Miss Sookie can't wait for one to come her way. 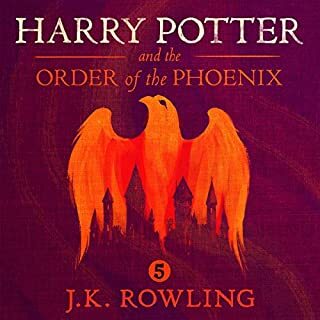 Best book in the series ? Audie Award, Science Fiction, 2016. An astonishing technique for recovering and cloning dinosaur DNA has been discovered. Now humankind's most thrilling fantasies have come true. Creatures extinct for eons roam Jurassic Park with their awesome presence and profound mystery, and all the world can visit them - for a price. 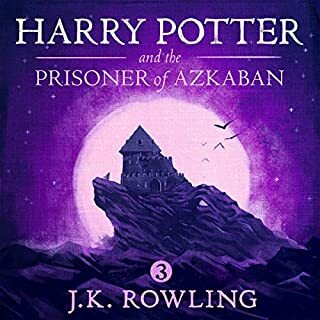 A wonderful way to start audiobooks. great book! To be irrevocably in love with a vampire is both fantasy and nightmare, woven into a dangerously heightened reality for Bella Swan. 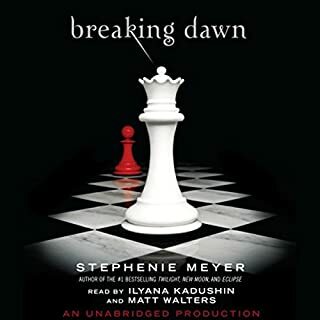 Pulled in one direction by her intense passion for Edward Cullen, and in another by her profound connection to werewolf Jacob Black, she has endured a tumultuous year of temptation, loss, and strife to reach the ultimate turning point. For Bella Swan, there is one thing more important than life itself: Edward Cullen. But being in love with a vampire is even more dangerous than Bella ever could have imagined. Edward has already rescued Bella from the clutches of one evil vampire, but now, as their daring relationship threatens all that is near and dear to them, they realize their troubles may be just beginning. 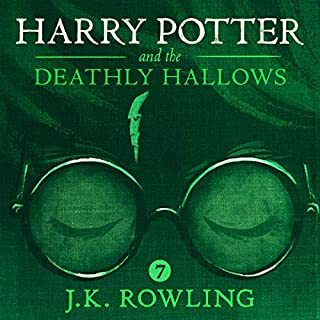 Harry Potter's summer has included the worst birthday ever, doomy warnings from a house-elf called Dobby, and rescue from the Dursleys by his friend Ron Weasley in a magical flying car! 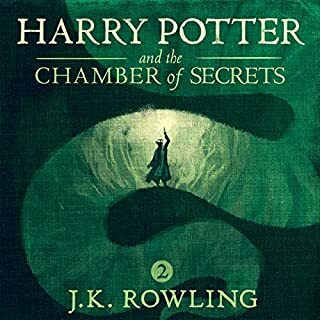 Back at Hogwarts School of Witchcraft and Wizardry for his second year, Harry hears strange whispers echo through empty corridors - and then the attacks start. 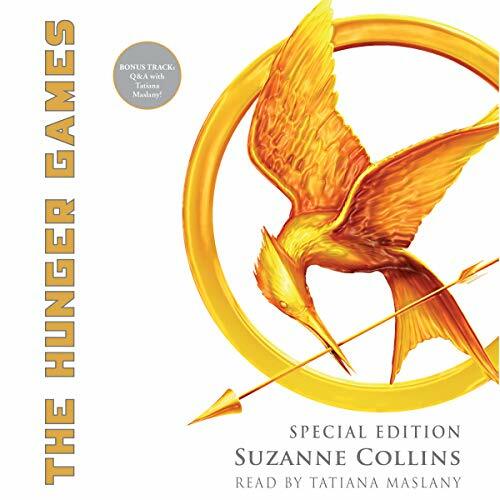 Emmy Award-winning actress Tatiana Maslany narrates a brand-new special edition recording of the first audiobook in the worldwide best-selling trilogy from Suzanne Collins! In the ruins of a place once known as North America lies the nation of Panem, a shining Capitol surrounded by 12 outlying districts. The Capitol keeps the districts in line by forcing them all to send one boy and one girl between the ages of 12 and 18 to participate in the annual Hunger Games, a fight to the death on live TV. Sixteen-year-old Katniss Everdeen regards it as a death sentence when she steps forward to take her sister's place in the Games. But Katniss has been close to death before - and survival, for her, is second nature. Still, if she is to win, she will have to start making choices that weigh survival against humanity and life against love. This special edition audiobook includes a bonus track Q&A with Tatiana Maslany! 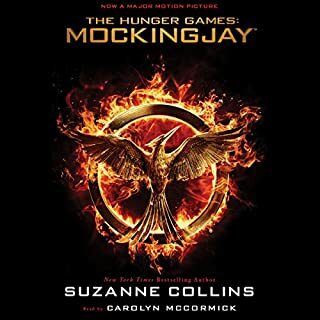 ©2008 Suzanne Collins (P)2018 Scholastic Inc. Totally worth buying the audiobook again. I absolutely loved hearing the booked performed by Tatiana! I hope they do more 1st person books with the main actor/actress. It was like reliving the movie, but with all my favourite parts of the book that didn’t make it into the film. Loved it! She was even able to echo her co-stars speaking patterns. Sometimes I just got lost in it and it felt like I was listening to the full cast from the movie. The version is so amazing. 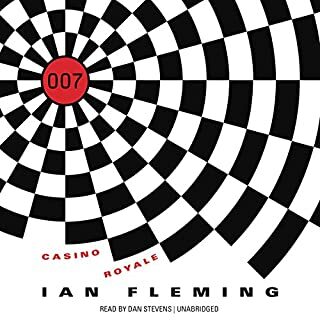 I’m not usually a fan of first person POV but audiobook format is the way to go for this type. It feels like someone telling you their life story and it’s amazing. Tatiana Maslany IS Katniss. She is perfect. If they don’t get her to do Catching Fire and Mockingjay I will riot. The Hunger Games trilogy has been important to me ever since the first movie came out. I loved the symbolism, the storytelling, the protagonist, and the metaphor for war. I love that the mental health impacts of oppression, traumatic loss, parental mental illness, and war are represented in a way that neither glosses over psychological and functional imparements nor turns mental illness into a plot device. I love the gender role flipping. And I love that such a hard story is written in a way that is compelling, exciting, brutal, and digestible for young and old alike. 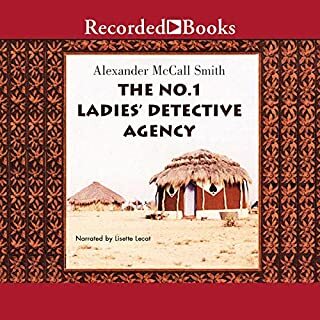 But when I bought the audiobook on sale a little while back, I was deeply disappointed. 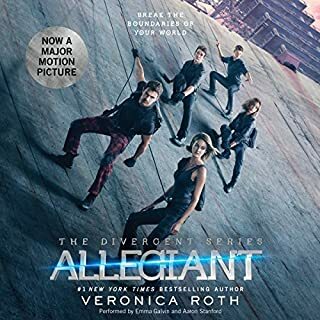 In this medium, the narrator can make or break the story, and the narrator they chose for the trilogy was all wrong for a trilogy that immerses readers so deeply inside of Katniss’s mind. Tatiana Maslany, however, is splendid. I know it was her first time narrating, and voice acting is so different from screen acting, but other than being a bit too breathy at times, I loved every minute. It was like rediscovering the joy of the Hunger Games all over again. I’m ten years older, but this story never gets old for me. It’s so important. I hope they bring Tatiana back to narrate the rest of the trilogy (hint hint). I also enjoyed the extras. One was a short interview with Tatiana, included after the final chapter, in which she answers questions about what the Hunger Games has meant to her and her experience narrating the first book. The other extra is a PDF downloadable from your library here on Audible’s website, which includes the transcripts of two interviews—one with Suzanne Collins done to celebrate ten years, and the second a forum with Suzanne and Walter Dean Meyers about the importance of writing war stories suitable for children and youth. The extras may not be everyone’s cup of tea, but I loved them. Thank you to everyone who made this special edition happen. And, um... about the next two books... pretty pretty please? THIS is the audio version I highly recommend. I would avoid the other version that is almost painful to hear. This version is worthy of the book. I very much hope the remainder of the series will be rerecorded by this narrator - her performance is exceptional. When can we expect the rest of the series? I love Tatiana Maslany. The different voices she can do are so impressive. This recording sounds like there is an entire cast. I can’t even listen to the other recording ma of this series by the other narrator. I want more Tatiana!! Makes me love the story again! This recording made me fall in love with the story all over again. Captivating book, but the narration this time around is spot on. Tatiana does an amazing job. I hope the other books in the series will be done with her as well. Reminded me why I love this series. I have loved these books for years. 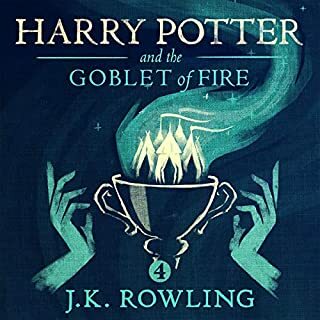 I heard this was an excellent audiobook so I bought it and I don't regret it at all. I truly hope she records the other two at some point because she gets it. The dialogue is perfectly executed, the voices are great. You feel it. Catherine McCormick is wonderful but she just doesn't pull off the teenager vibe. I'm sad I've finished it already! I guess I'll have to listen again! Finally a narrator that isn't annoying! Its about time! Finally, someone has realized that having a good narrator is key to selling an audio book! I really hope that they release the rest of the series using Tatiana Maslany. She is absolutely what this book needed! Excellent rendition, the reader is fantastic! "It's another big, big, big, day"...nuff said...she is a fantastic reader! She really is able to bring each character to life, while staying inside Katniss's head. Narrator brings the book to life!! 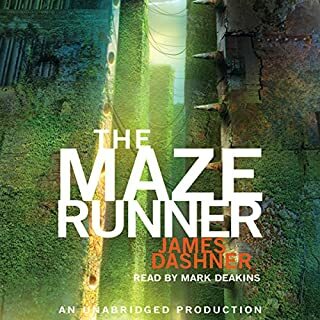 Best audiobook I've listened to in years! This is a BINGE LISTEN!!! Story and narration is a perfect match. 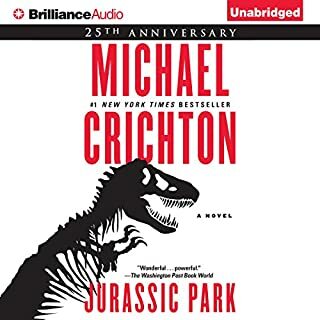 Of all the audiobooks I have listened to, which is getting to be quite a list, this is one of the best performances by the narrator I have ever heard. Through her voice you can hear the emotions of the main character, Catness, clearly, but beyond that, she also portrays the subtler things like fatigue, exertion, pain. These are the kind of things that a narration rarely portrays. It is as if Katniss is truly giving us a running narration of everything as it is happening in real time. As for the book itself, I had only ever seen the movie before listening. The book is excellent and vivid in its imagery. It may have had a lot to do withe the performance, but it does lead you into Katniss' world and let you see, feel and experience everything. I truly enjoyed this book. Excellent narration! Thank you Tatiana Maslany. We know this story, and its very well told. Hearing Tatiana read/perform this is just a treat. 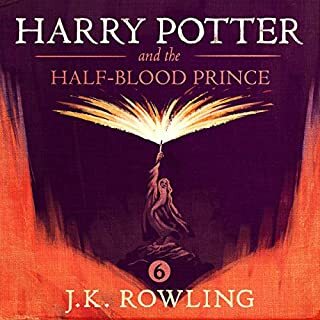 I love listening to audio books on my commute and this is now in the rotation... again and again. 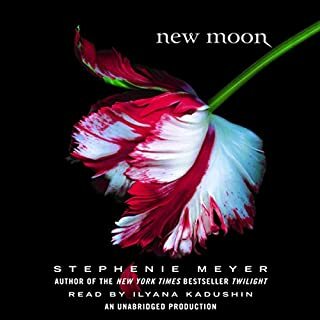 Tatiana does a great job capturing the mood, the changing characters and the overall flow of this story. I really hope she reads the next two books of this series as well.